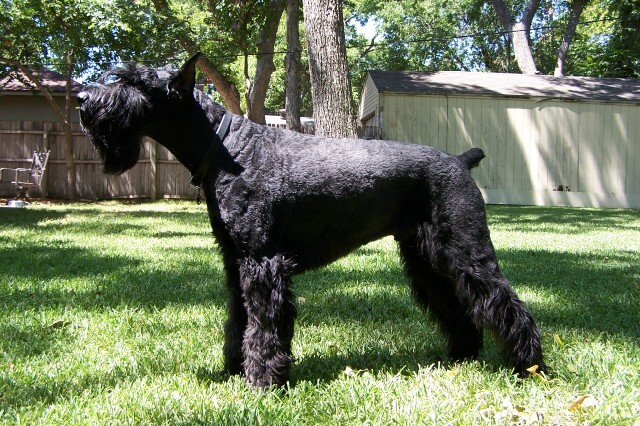 The Giant Schnauzer is a large dog with a robust, well-muscled build. 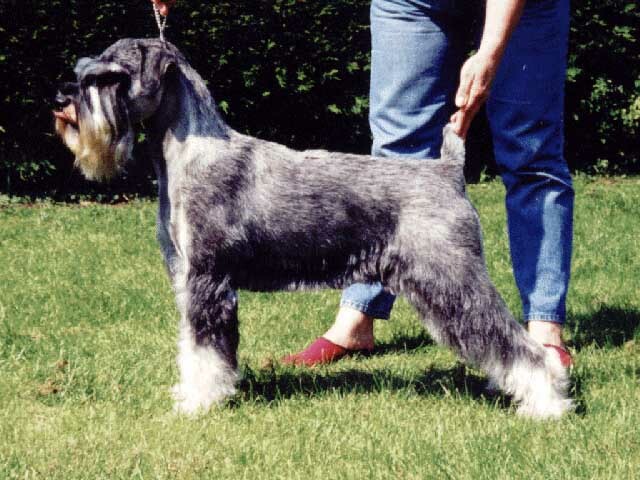 They have a strong, rectangular head and muzzle, a powerful bite, a large black nose, deep-set, oval eyes, high-set ears that can be cropped, and a high-set, docked tail. 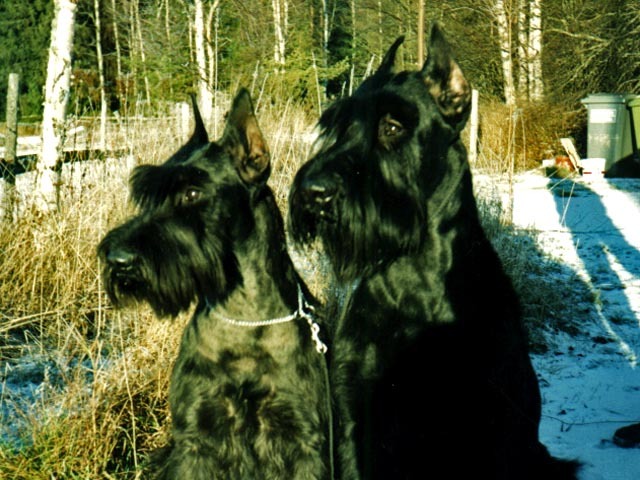 Their wiry double coat is either black or salt and pepper. 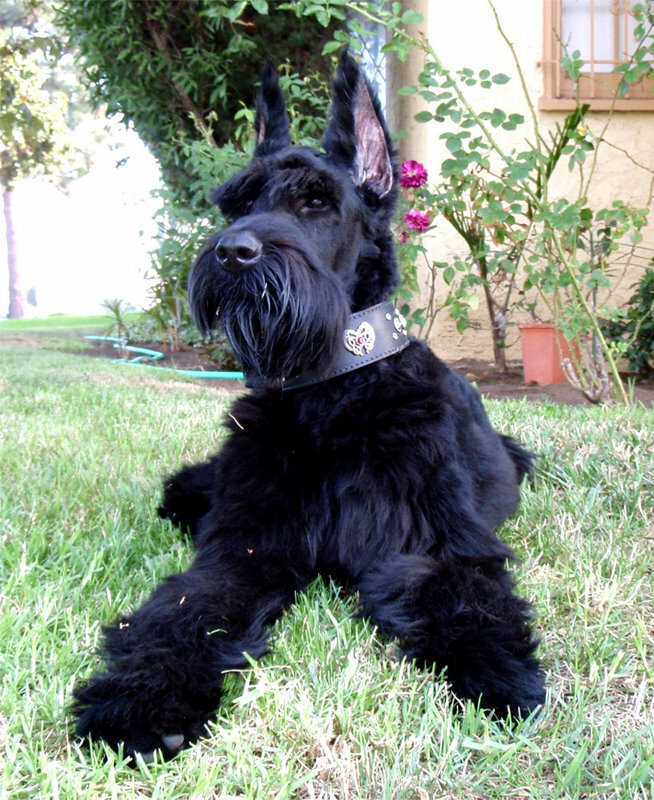 Like the Miniature and Standard Schnauzers, the Giant Schnauzer is famous for its beard, eyebrows, and alert expression. 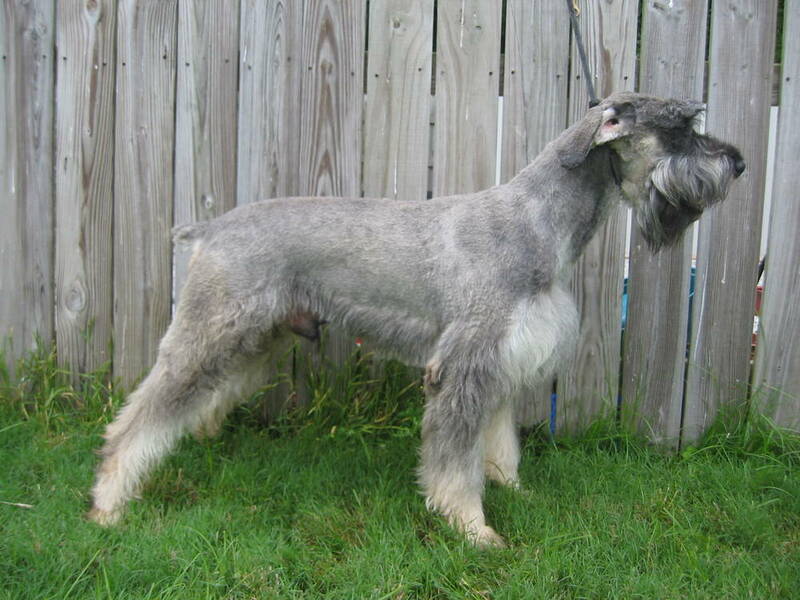 They're not huge dogs, but they're called "Giant" because they're the largest of the three schnauzer breeds. 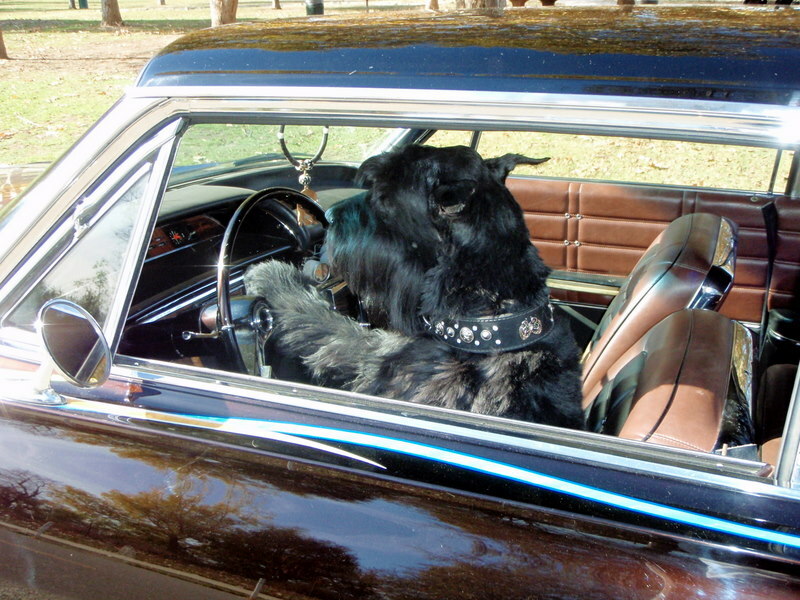 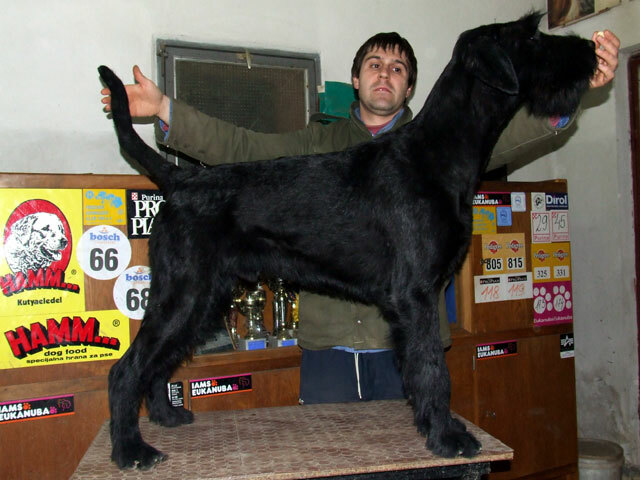 Giant Schnauzers weigh 65 to 95 pounds and stand at 23 to 27.5 inches tall. 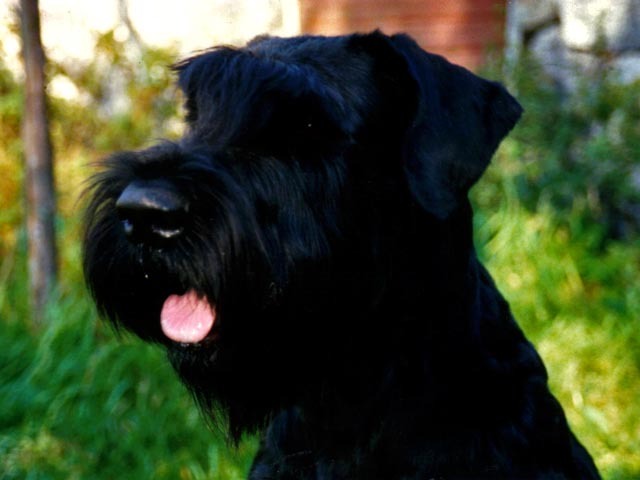 Giant Schnauzers are quiet, strong-minded, and loyal dogs that make a great fit for families with children. 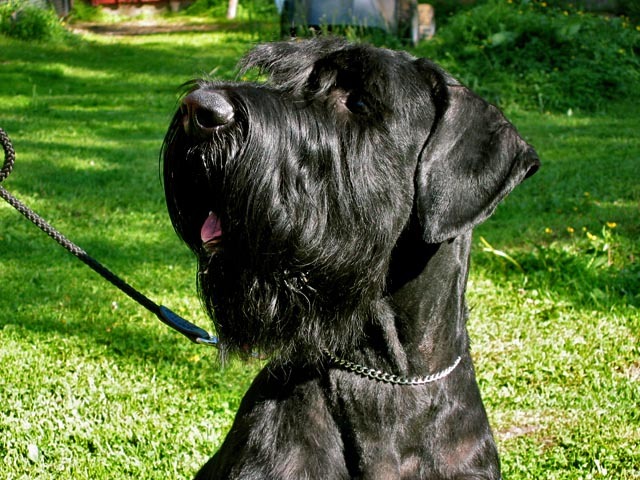 They're bred to be protective of their home and watchful of strangers, so Giant Schnauzer puppies should be trained to get along with other dogs and newcomers. 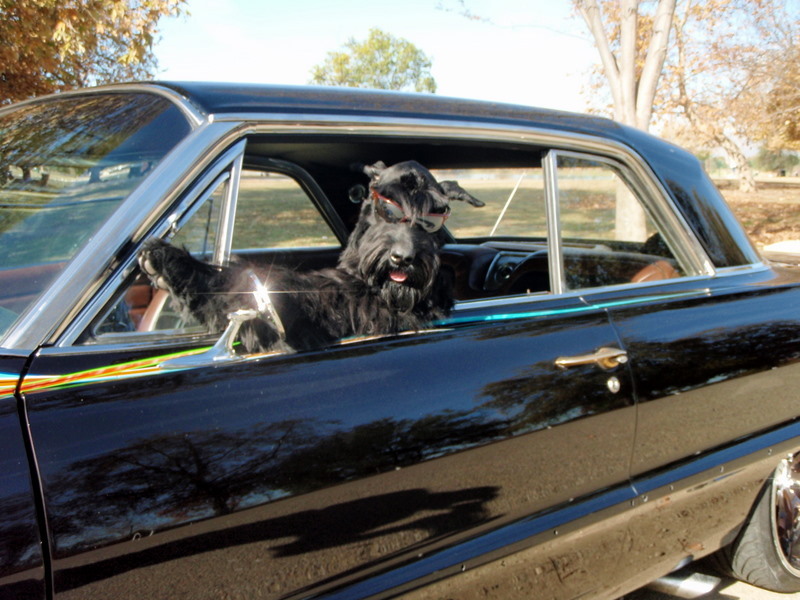 Not surprisingly, Giant Schnauzers need a lot of exercise. 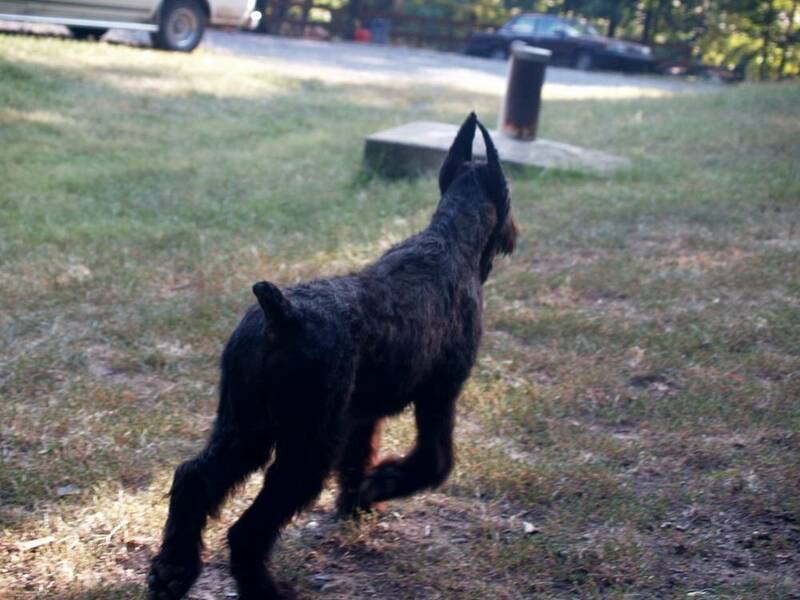 They are quick learners who love having a job to do — so keep your Giant Schnauzer engaged with daily walks, free play in the yard, and agility and obedience training! 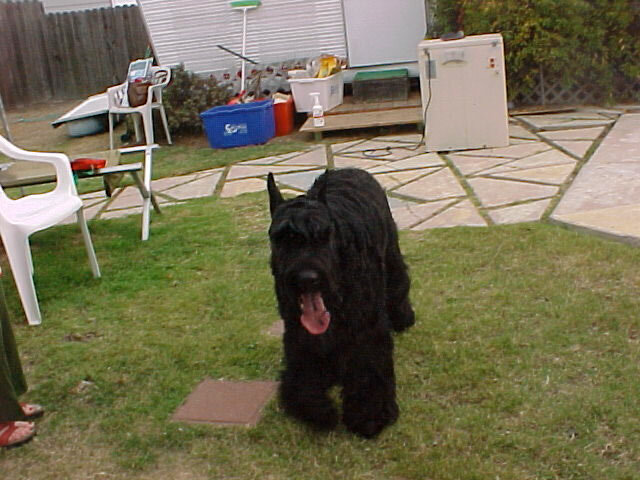 The Giant Schnauzer's German name is Riesenschnauzer — "riesen" meaning "giant" in German. 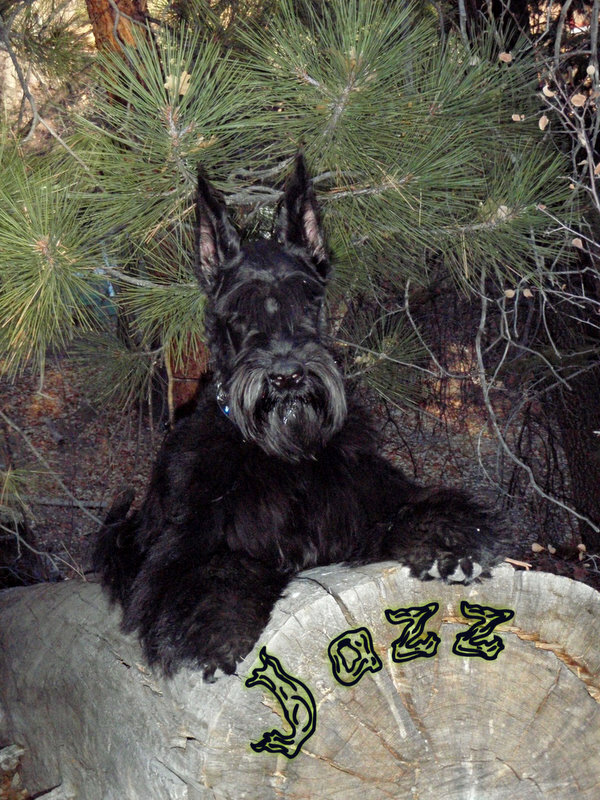 Although they resemble the Miniature and Standard Schnauzers, they are a distinct breed. 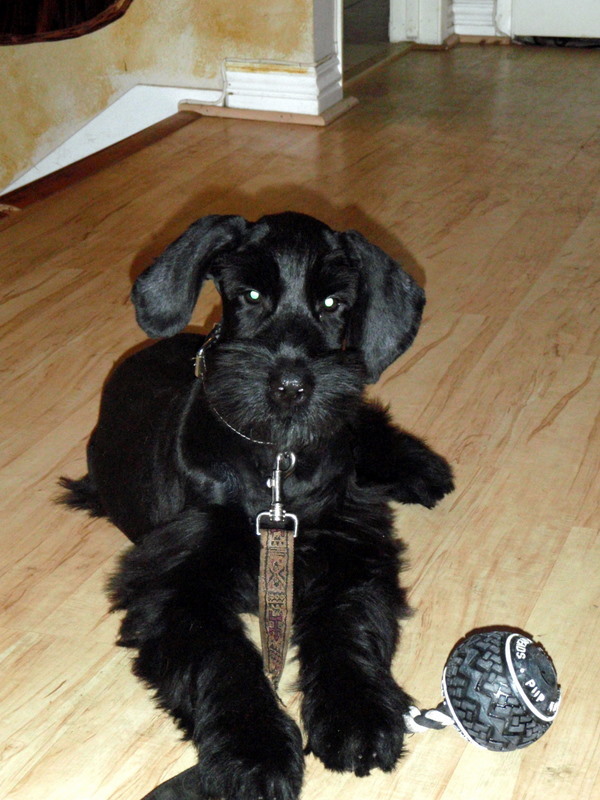 Search our database for Giant Schnauzer breeders and Giant Schnauzer puppies for sale! 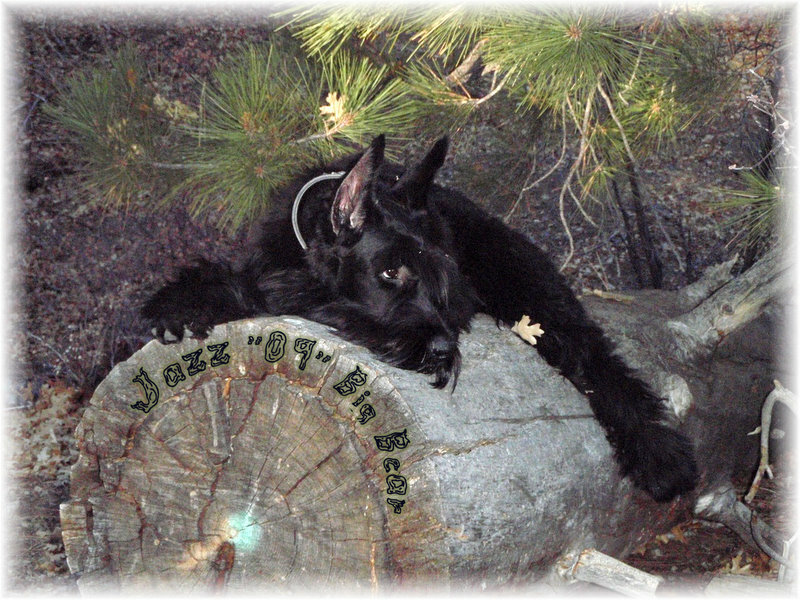 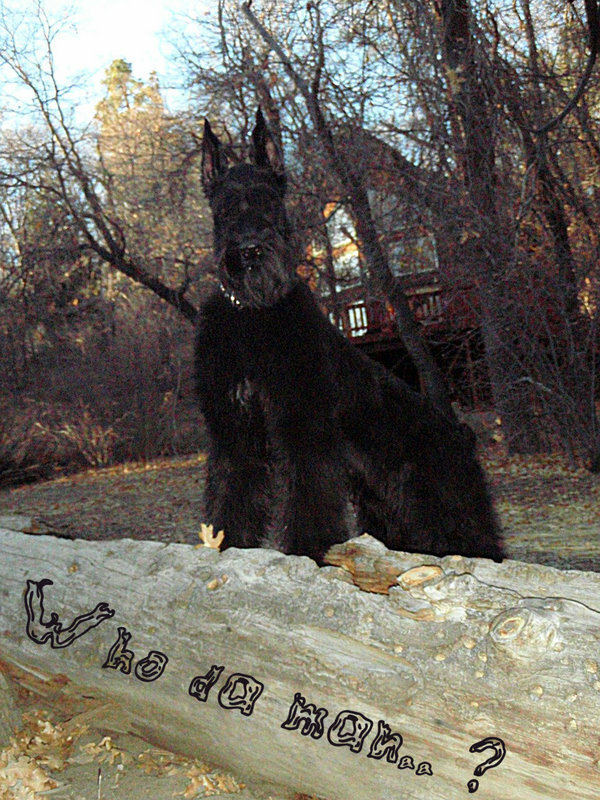 Interested in learning more about Giant Schnauzers?CLICK HERE!